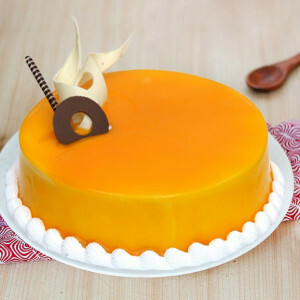 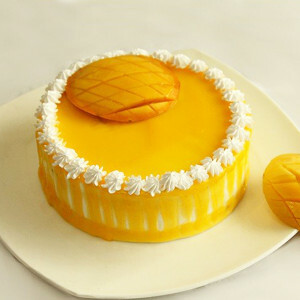 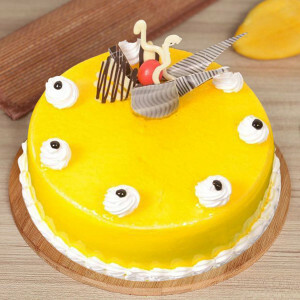 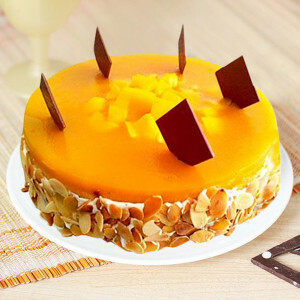 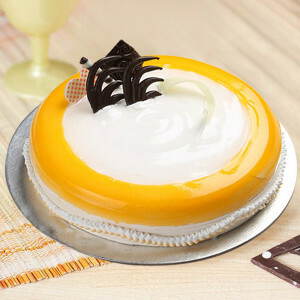 Buy the goodness of cake and appetizing mangoes online, with yummy Mango Cakes from MyFlowerApp. 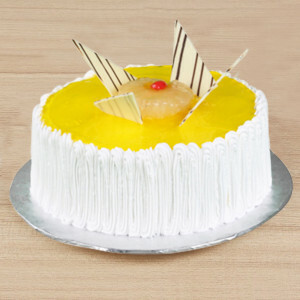 Send them to your loved ones, anywhere in India and celebrate the special days, no matter how far away you may be. Send the cake along with some flowers or personalized gifts via midnight delivery for the cherry on top. 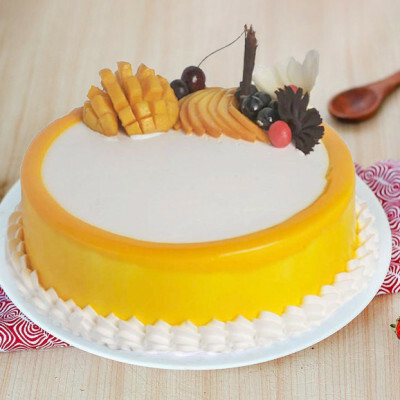 Taste the flavor of mango to celebrate any occasion with our half kg yummy mango delight cake decorated with white cream, fresh prices of mangos, a cherry along with white & dark chocolate formation. Place your order now to avail our half Kg delicious eggless mango cake, full of the flavors of mango and beautifully decorated with white cream and lovely chocolate formation to glitter up your private celebration. Help your special one to feel the essence of summer with our delicious unique Half Kg heart-shaped mango cake full of the yummy flavors of mango garnished with freshly cut real mangoes, one cherry and chocolate-made formation.